How to Maintain and Clean Vinyl and Aluminum Siding - Two popular cleaning methods are a pressure sprayer and a telescoping RV brush. Even though vinyl siding doesnt require the yearly chores of chipping, priming, and the painting that wood siding does, you still need to give it a periodic cleaning. Siding sales reps have a well-deserved reputation for throwing around like, no maintenance and never paint again. Recall the movie Tin Men that starred Richard Dreyfuss and his buddy Danny CeVito? And even though the relentless and costly painting jobs evaporate if you replace your original wood siding with aluminum or vinyl, it will still need some maintenance. What does that entail? Where your home is will determine what kind of debris will accumulate on your siding. If you reside out in the country with mostly dirt roads it will most likely build up a layer of dust. It will possibly accumulate at such a slow rate that you wont really notice as it happens, but it will. If you reside in a high humidity area, get ready for mold or mildew growth. 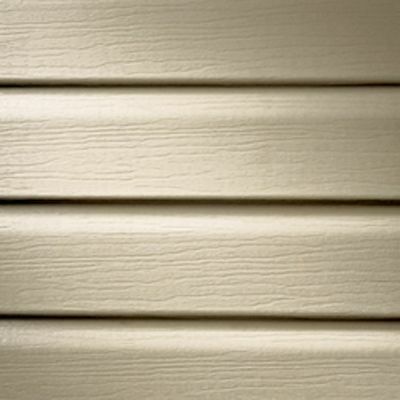 This is particularly common on exterior siding that is partly or completely shaded during the day. With some colors, its entirely possible that you wont notice it making its creeping progress. There are two common ways of cleaning vinyl and aluminum siding. Both ways are usually easy to do. Either way, it is key to remember that keeping the water on the outside of your house and not on the inside is important. To help with this, mask off any possible entry points with sturdy plastic tape and Visqueen (sheet plastic). Utilizing power washers for outdoor cleaning will make your chore go quickly, but as with everything, theres several tips to remember. First, start at the top and work downward. Secondly, use a low water pressure. Aluminum siding tends to dent and vinyl might crack under a high pressure. Thirdly, be careful that the power washer wand is always pointed downwards on horizontal panels. One thing this will do is make the grime go where you want it to  to the ground. It will also lessen the chance of having water spray under the panels. Of course, for a single story home you will have to have a tall ladder (always use your helper to keep it steady or tie it off at the top). If you have a two story house, youll probably need to use method #2 unless you own a sky hook. Be careful that you dont blow water through your soffit vents. These inexpensive brushes are made to attach to the end of your garden hose. Models such as the Adjust-A-Brush® Flow-Thru Wash Brush feature a telescoping function. This means that you will be able to reach a larger area from one position. This is indeed a nice function for those hard-to-get-at areas. It is helpful to use a mild detergent solution to speed the cleaning along. But whichever method of cleaning works out best for you (or a combination of the two), fall and spring are optimal times of the year get the job done. In the summertime it can get so hot that it can make for an uncomfortable. On the other hand, during extremely cold weather, vinyl siding will become much more brittle. Cracking becomes a very real possibility.